Apscade Piranha Challenge is great for helping grade school students concentrate on a problem and come up with a solution. On easy mode players get 120 seconds per puzzle but much less time on normal and hard modes. 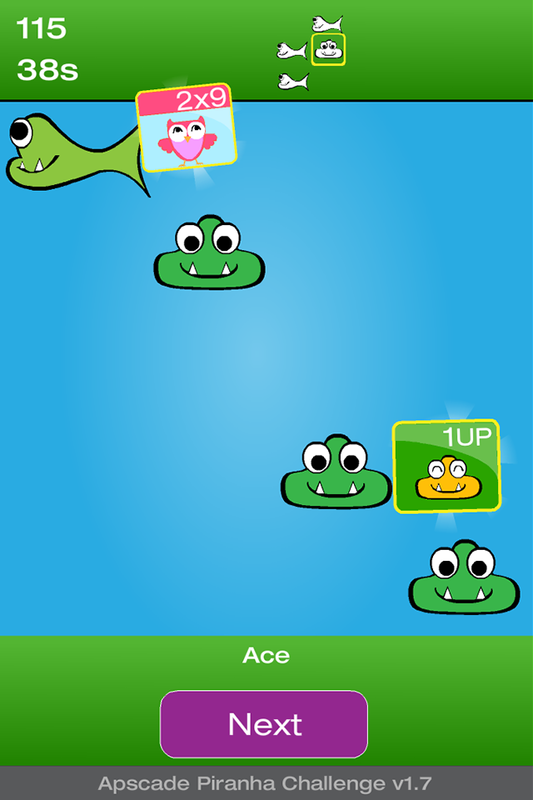 Players can repeat a problem in a game space and challenge classmates for the highest score. 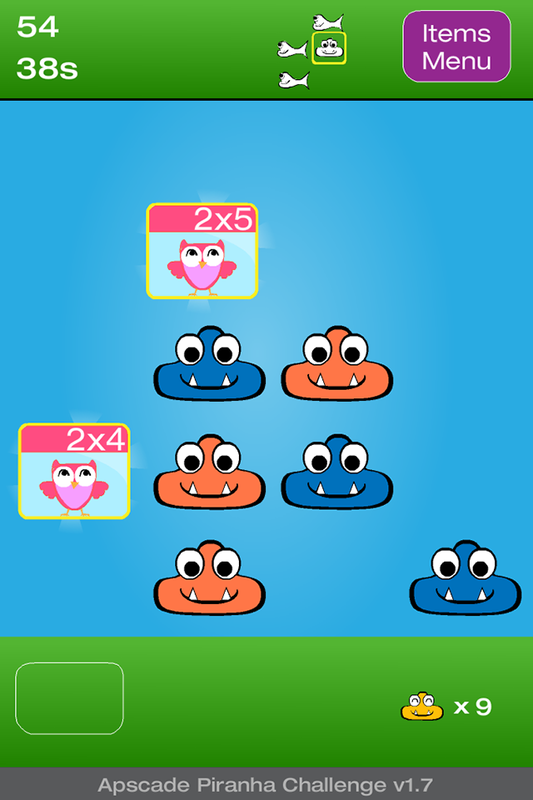 Puzzles are of a mathematical problem solving nature and requires the player to think ahead and tap the piranhas in the correct order to succeed. Players are also given timetables problems to solve along the way. The player can tap the times table problem and complete it for a score boost of 50 or continue to solve the puzzle. Each puzzle is completed by eliminating all but 3 piranhas of the same color. Parental lock code is required to delete game 1 and authorize any internet connections from within the app. For convenience, authorizing high score submission once authorizes all subsequent submissions. Happy Guzzler's stolen all the happiness, and it's your job to get it back! You must solve all the puzzles in the shortest time possible, collect items and restore the balance of happiness.